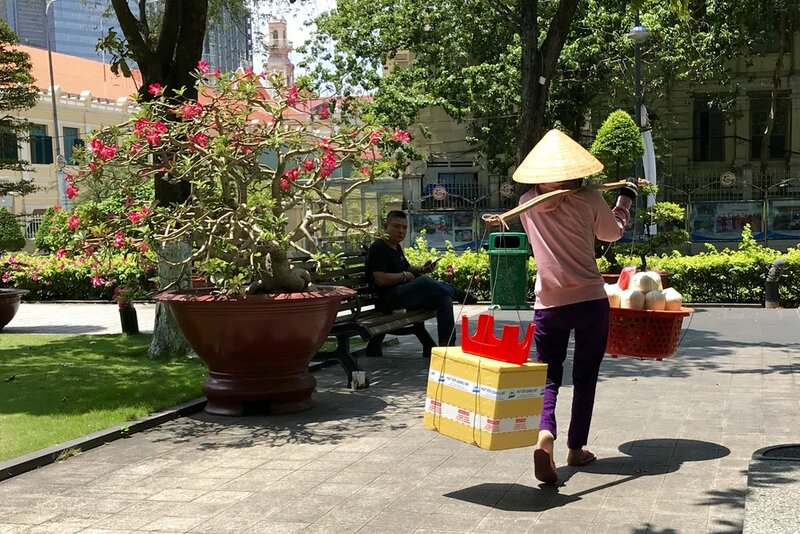 Weâ€™ve arrived in Saigon, Vietnam visiting the south for six days then travelling to mid country for a couple of weeks followed by another six days up in the north. 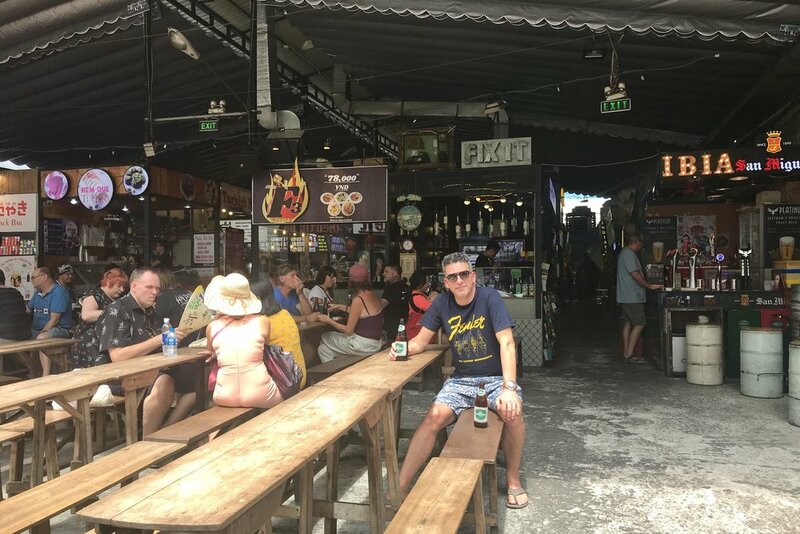 Itâ€™s been a while since my last blog, hopefully later in the year Iâ€™ll have time to get caught up from our previous 2018 travel. We travelled the same route as last year via Taipei. Another excellent flight, slept for 10 hours and woke up to an early breakfast with only 1.5 hours until landing in Saigon. My plan is to do more frequent and shorter posts this time. So hereâ€™s the first 48 hours, hope you enjoy! First thing first, when travelling to Vietnam you need a Visa and it has to be organized before you leave. You have three options when entering via airport. 1. Go to the closest Vietnamese Consulate and obtain your Visa glued directly into your passport $95 CDN for up to 30 days. Apply in person, takes 3 business days to pick up. 2. Apply on line through the Vietnam government website (new service) but can have some major hiccups that can cost you entry if you make even one small mistake for example entering the wrong month day year format or uploaded picture is incorrect. $25 US pay on line for up to 30 days. Takes 3 to 4 business days and they email you your e-visa to print out. 3. The most popular by far but the worse in my opinion is whatâ€™s called a Visa Approval Letter. You apply on line through hopefully a non scamming website (several out there not associated in anyway to the Vietnam government but sure try to make it look legit with creative website domains) pay anywhere from $15 US to $45 US for up to 30 days and receive an approval letter to enter Vietnam in 24 - 48 hours via email. Hereâ€™s the catch, itâ€™s not a Visa itâ€™s only a letter saying you can obtain a Visa at the airport. When you arrive there will be a minimum of a 1 hour line up to get your Visa and then another line up to get it stamped $25 US cash only before standing in another huge line up to get through customs. Customs lineup (about 1200 people) at airport. Our choice was going to the consulate in Vancouver and we sailed right through. A girl in front of us mentioned her friends choice was e-Visa via the Vietnam government site. She mixed up the day and month format so was originally denied entrance. After 4 hours of waiting she had to pay $160 US to have it corrected. Ok now back to the fun stuff! Weâ€™re staying at Alagon Zen Hotel & Spa in the middle of District 1, walking distance to most attractions, nightlife, and all the fantastic food from upscale to street food. Sure glad we chose a hotel with an outdoor pool. Great way to relax after walking around in 38 degrees. Hotel is fully equipped with a main pool, jetted cold and hot pools, sauna, and steam room all located on the rooftop for that Zen experience. 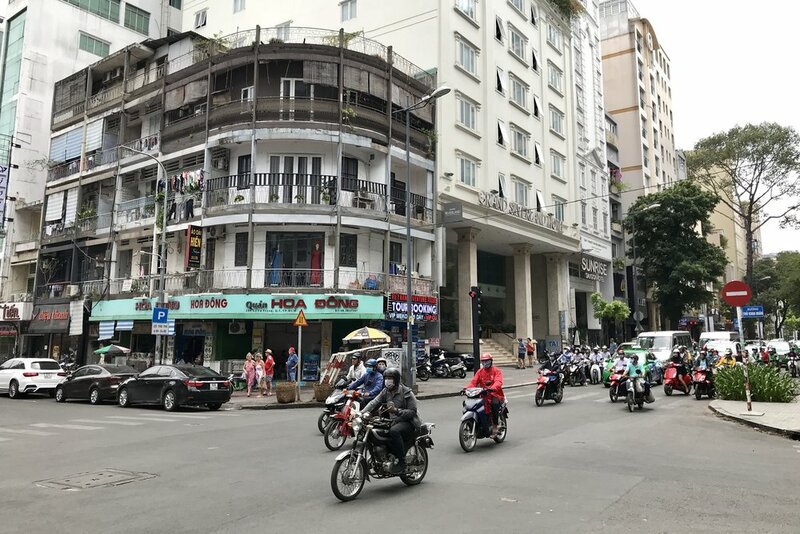 First impressions of Saigon? Clean city with lots of green parks and neighborhoods, super friendly people wanting to engage with questions and share stories, and extremely clean healthy food with lots of vegetarian options as well. Not at all what I was expecting after hearing a lot about dirty streets with lots of pollution and only meat option meals not friendly for Amanda. Kinda of reminds me of peopleâ€™s opinions about Athens, Greece. I think they get it completely wrong because they donâ€™t stay long enough to experience it. Tourists tend to fly in and only spend 1/2 a day so they run up to the Parthenon and they fly off to a beautiful island and say well that sure was filthy and run down compared to this beautiful spot. Oops, unexpected rant back to Saigon! Did a little bit of a bozo move the other day, we decided to walk 3.5 km in 36 degrees to the Jade Emperor Pagoda, a Taoist temple built in 1909. Really enjoyed the inside architecture with all the burning incense. Lonely Planet has a great article about it here. We were a lot smarter on the way back, took a $2 air conditioned taxi. A lot of people talk about the traffic chaos so I thought a couple of videos would explain it the best. Hereâ€™s some more random picks of the first 48 hours. Feel free to subscribe at the bottom of the page if you want an email notification for the next post. Cheers!